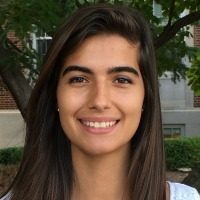 Marcela is a graduate of the University of Maryland’s School of Public Policy with specializations in international development and international security and economic policy. She earned a bachelor's degree of economics from the University of Maryland. Since 2014, she has gained well-rounded development and policy experience in both the public and private sectors working with the World Bank, Chemonics International, Grameen Foundation's Bankers without Borders, The Office of U.S. Representative Ann McLane Kuster, and Development Transformations. Influenced by her formative experiences with indigenous communities in South Dakota, U.S. and Madre de Dios, Peru and her fieldwork in the Valmiki Tiger Reserve, Bihar, India, she is passionate about empowering rights-holders from marginalized or vulnerable populations by fostering sustainable gender equity and social inclusion.